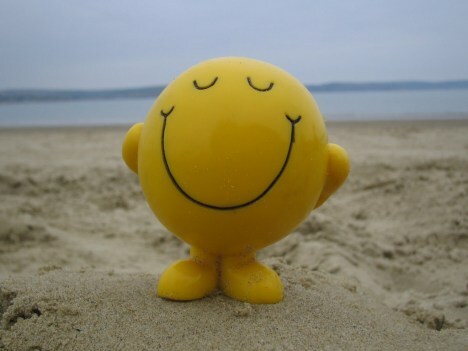 Home / Articles by Njkinny / Health and Lifestyle / Do these things to lift your mood and be Happy! 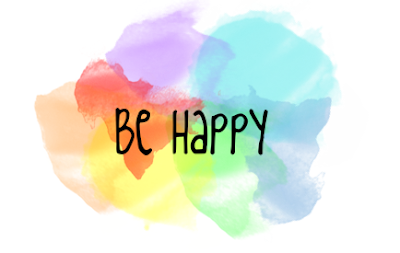 Do these things to lift your mood and be Happy! Is your day been horrid so far? Feeling like no one appreciates you? If you are experiencing the above or similar negative thoughts run through your brain then it is time to do things that make you happy! While every person has individual tastes and may have different things that make them happy, there are some universal happy-making-activities that all can do and instantly perk up. We all have our bad days. Days when everything looks dour, uninteresting and our life meaningless but without giving in to depression, adopt one or all of the below steps that have been proven to inspire happiness. 1) Take deep breaths and remember the happy moments of your life. 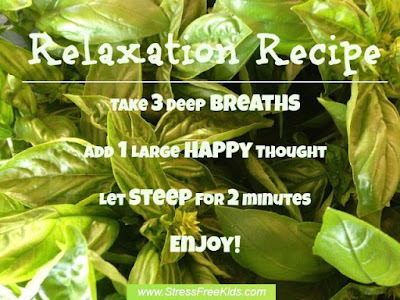 Taking deep breaths gets our body more oxygen which has been proven to relax the body and relieve negative feelings like anxiety, depression, sadness etc. So sit back, take a moment and inhale-exhale deeply while you remember the happy memories of your life. 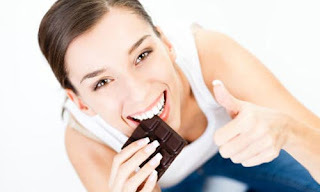 2) Eat a piece of chocolate. Chocolate is known to relax, relieve negative feelings like depression, anxiety etc. and inspire happy thoughts because of the neurotransmitters it releases that have a positive effect on our brain and in turn, is able to perk us up. Also who doesn't like chocolate and any excuse to have it is a reason to be happy! 3) Call a loved one or a friend who makes you happy! Happy people are rare to find but they are great company when you are feeling down. So whenever you feel depressed, call a loved one or a happy friend and go meet them or have a talk. This is sure to perk you up. 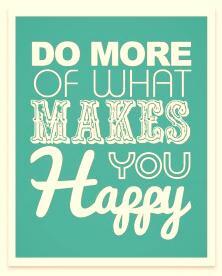 4) Indulge in your hobby and do more of activities that make you happy. When feeling depressed, take time out to indulge in your favourite hobby. It can be anything from drawing, reading, watching a movie or making stuff. Hobbies are perfect to relax us and make us happy! 5) Go for a walk to the nearest park or to a place that you love. All of us have one or more places where we not only feel calm and peaceful but also happy. Like, for example, I love to sit in my balcony from where I can see the park, hear the chirping of birds nearby, even watch a few wrestle for the food morsels I leave on the boundary and also gaze at the lights twinkling from far away buildings! It is sure to calm me and uplift my spirits. 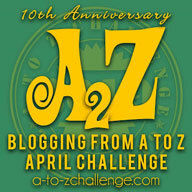 6) Take time out to help others. 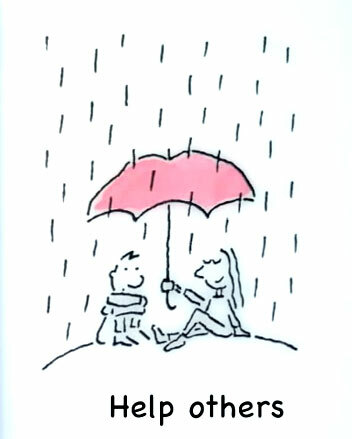 When feeling sad, go help people around you. The help can be in any form from small gestures like helping in the kitchen or as big as helping your society in the upcoming events etc. When you give your time to others and help them in their hour of need, you not only make them happy and forge new relationships but your focus also shifts from your own problems, making your realize that your problems are not as bad as you think. This instantly cheers and uplifts your spirit. Remember, If you do Good, Good will come back to you. 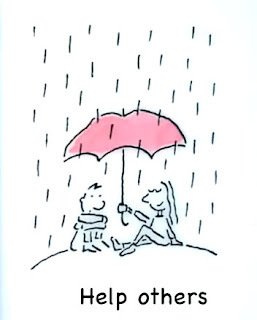 Similarly, When you make other happy, Happiness will come back to you. Naps have been proven to refresh the mind and the body and are great energizers. Some companies even encourage their employees to take a nap and have seen an increase in productivity. So if you don't feel good, take a nap and wake up perked and refreshed! A good night's sleep also leaves us feeling happy and in better spirit. 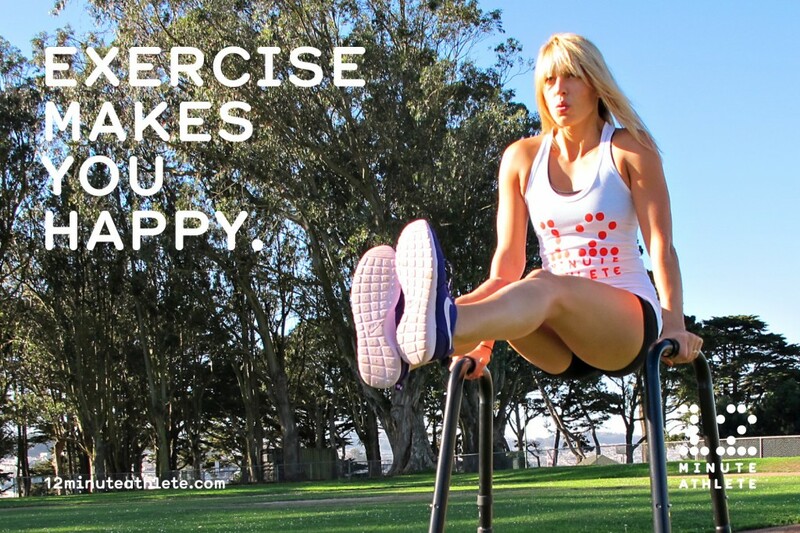 Exercise has been known to loosen our muscles and also relax our mind. 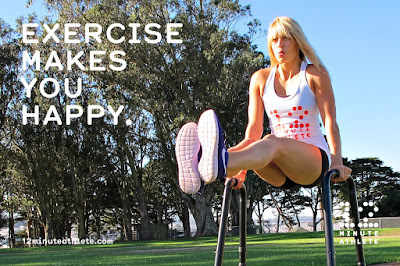 When we exercise, our body releases some hormones that help in relieve stress, depression and anxiety and leave us feeling happy and perked up! Meditation is a great way to get to know your inner self. Sit down in a peaceful place, close your eyes and feel all your worries, sadness and anxiety flow out. This will instantly make you feel better, peaceful, perky, happier and more in command to work towards solving your reasons of depression and unhappiness. 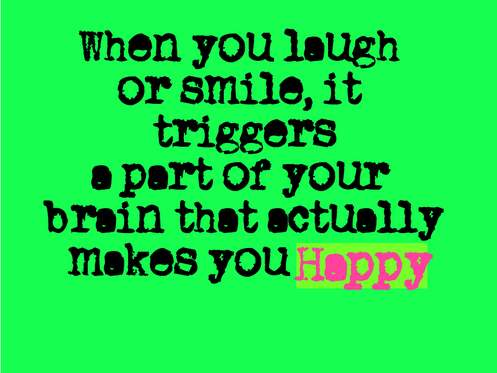 Laughter is a great way to lift your mood and instantly feel happy. 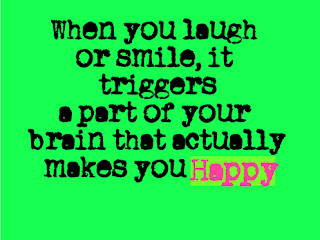 Even if you don't have anything to laugh about, just laugh for the sake of it because when we laugh, our body releases a hormone called oxytocin that is a happy hormone and which not only relaxes us but also makes us feel happy! So what are you waiting for? 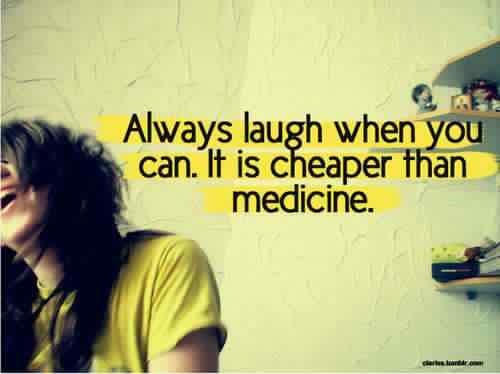 Laugh as much as you can because it is free, easy and so effective in making us happy. Even a small smile will uplift your mood and leave you in a better place. Eating healthy food goes a long way in stabilizing and strengthening our body and brain. It is the brain that controls our emotions. 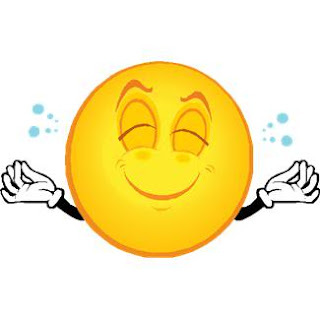 When our brain is strong,we can withstand difficulties better and still be in a happy mood! What we read is what makes us who we are. If you read good literature that teaches positive values, inspires and motivates then we become resilient and better able to fight the negative emotions that often assail us. A good book or even a short story leaves us happy, inspired and perky! Yes. You heard me correctly. Happiness is a way of life and not just an emotion. 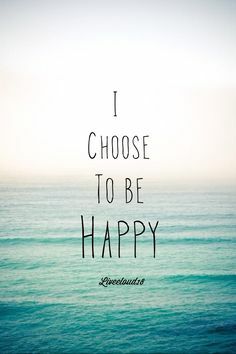 It has been proven that by choosing and practicing to be happy, ultimately you will get stronger, stable and more in command to fight the negative emotions. At the end, you'll find yourself happier and filled with more positivism! 14) Never Regret your past. 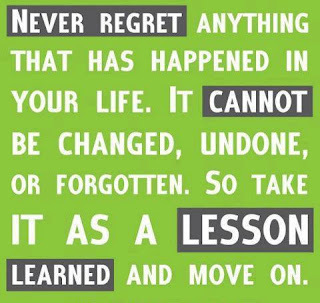 Never have regrets. 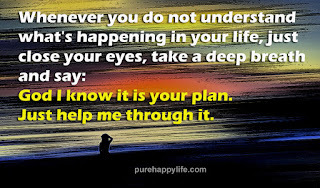 Always believe that whatever happens, happens for a reason. 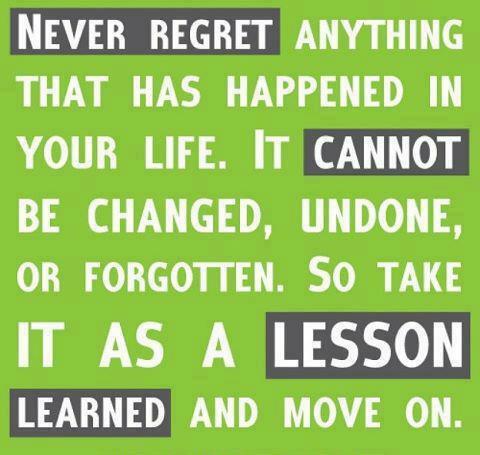 The past cannot be changed, undone or forgotten but you can always learn from your past mistakes and never repeat them. When you leave regrets behind is when you will find lasting happiness! 15) Have faith and always believe that something awesome is about to happen. Always have faith. Always believe in a better and more awesome tomorrow. Feeling positive and believing that something great is about to happen will always keep you happy and you'll soon see a positive change in your life! 16) Never compare yourself and your life with anyone else. Each one of us is different. 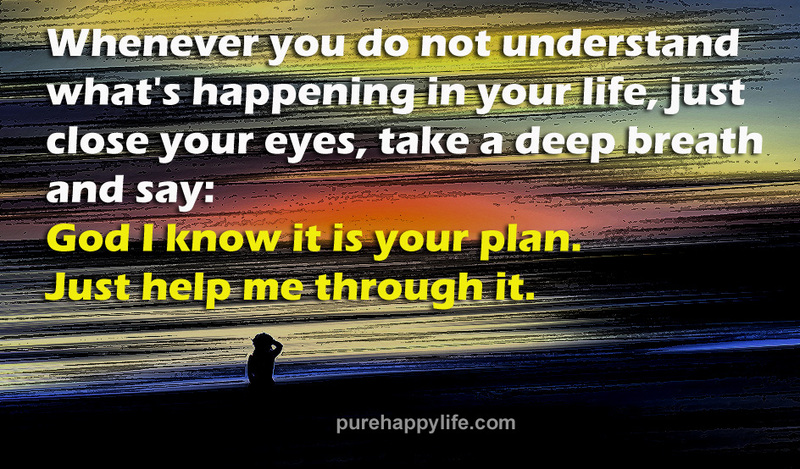 We have experienced life differently and face different struggles in our life. 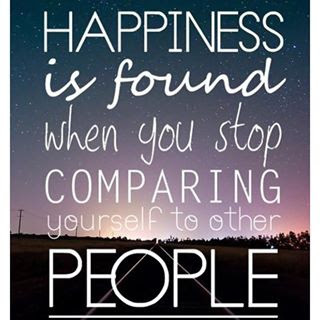 By comparing yourself to someone else is never good and will always leave you feeling unhappy and discontent. Remember your struggles and feel take pride in yourself that you overcame them. Always believe in yourself because you are unique! Enjoy and cherish your individuality and feel proud to show everyone that you are YOU. Different, Unique and Happy! 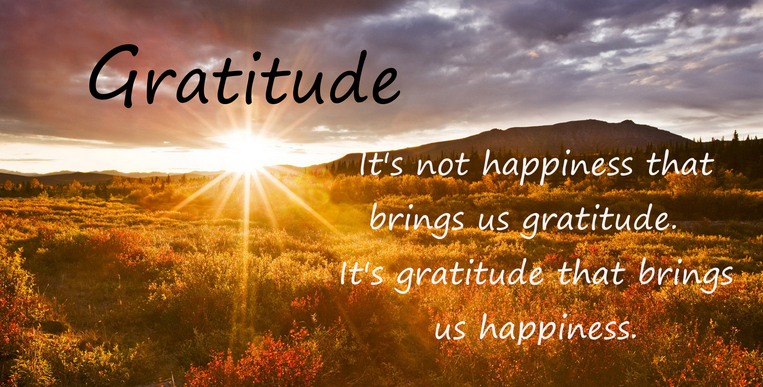 17) Feel Gratitude for all you have. Last but definitely not the least, is showing and feeling gratitude for all the good things that you have in your life. Whenever you feel unhappy and dissatisfied with your life, take a minute to take at people who are less rich, less comfortable and less blessed than you. These people face so many hardships that God has saved you from ever experiencing. Looking at people less blessed than you will make you feel happy, more cherished and definitely perky! By following the above steps, I am sure you'll see positive effects on your life and be Happy! 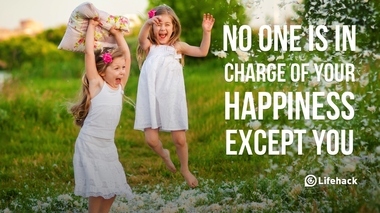 But while the above steps help in being happy, "No one is in charge of you Happiness except You." 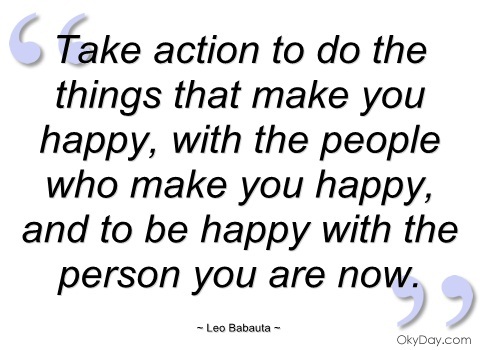 So take charge of your happiness and Be Happy! What steps do you take to stay Happy? Do share your thoughts with me. I love hearing from you.